We all want to take the best care of our precious belongings. 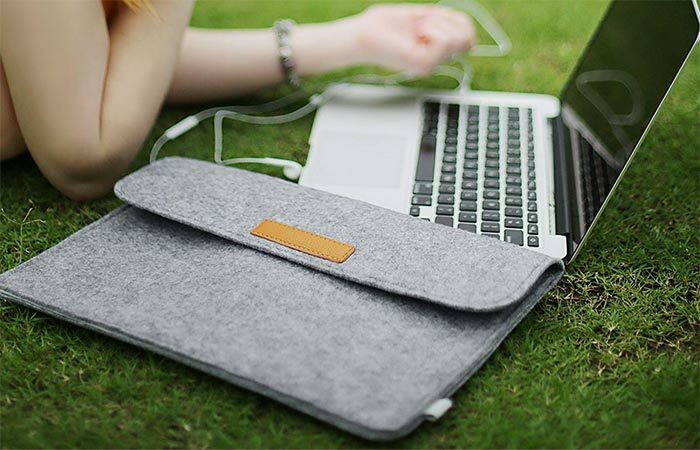 If you want to keep your laptop safe, you should check out this Macbook Sleeve Case Cover from Inateck. To give you the best security, it has a Synthetic Leather Velcro Closure. The lining material is mold safe and it won’t get worn out. This case has all-round protection and will absorb any shock without scratching the laptop. It’s lightweight and comes in cool grey or green color. 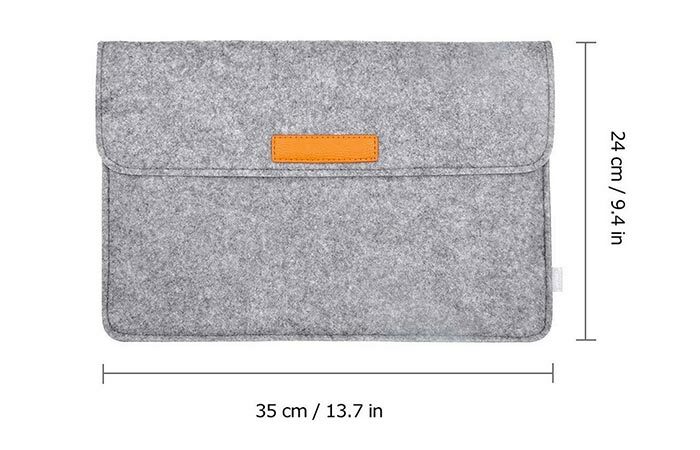 This Protective Case is suitable for a 11-15 inch Macbooks, and a few other models. There are 4 sizes available that makes the case suitable for a laptops 11 to 15 inches in screen size. It can also fit 12.9 Inch Apple iPad Pro 2015 Model, 13.3 Inch MacBook Pro Retina, MacBook Air 13.3″ and most 11-Inch Ultrabook Laptop Macbooks. In the main compartment, you can carry a laptop, magazines, books, tablet…There are also two back pockets where you can put your smartphone, wallet, notebook…You also get additional small felt bag for power adapter or mouse. 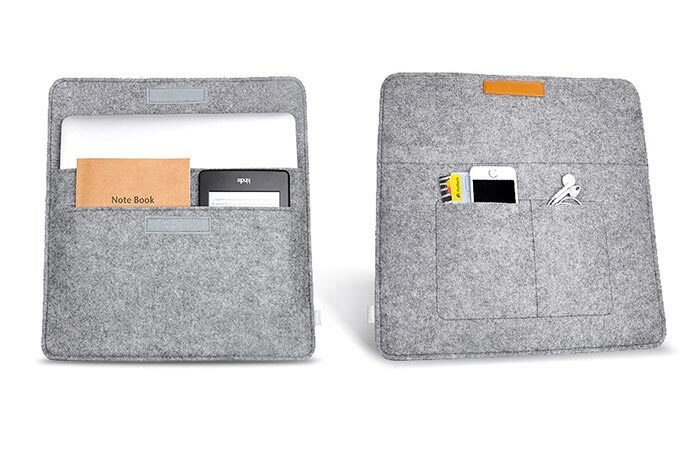 This Macbook Sleeve Case Cover not only looks good but is very functional and soft to the touch. The synthetic material is sustainable, biodegradable and environment-friendly since it doesn’t have any plastic or metal parts. The important thing to remember is that you can dry clean it only. With it, you’ll be safe since it provides good protection from outside and inside. Inateck Sleeve Case Cover will provide good protection from inside and outside. Inateck makes many protective cases, so you can get this case even if you have a different laptop. They offer the same design for 11-15-inch Macbooks. Also, you can get it for your iPad and Microsoft laptop. If you want to get a laptop bag with a handle, different tablet cases or a waterproof smartphone case, you can check it all out on Inateck’s website.